We are delighted to welcome two new members to our Tuffa team this month. Mike Bailey joins our team in a newly created role offering Technical Sales Support. In addition to supporting our existing sales team handling the daily enquiries and quotes, Mike will also bring his technical expertise to specifying more complex and bespoke tanks that we design and manufacture to customer’s specific requirements. Mike brings over 10 years’ experience from a sales role within the engineering industry having previously worked for a nationwide laser cutting and profiling firm. “I’m thrilled to join Tuffa and share my technical experience with the sales guys,” he said. “It’s a really friendly and professional team and I’ve been impressed by the level of customer service. I’m looking forward to exciting times ahead,” he added. Tuffa’s HR and Office Manager, Kerry Shenton is delighted to have Mike on board. 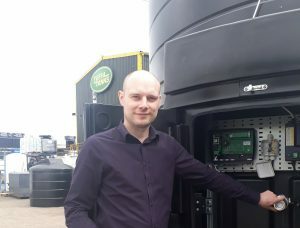 “We’ve been looking to add some more technical expertise to our sales team and we’re fortunate to have someone of Mike’s calibre and experience. I’m looking forward to working with him and he’ll be a great addition to the team,“ she said. Technical Knock-Out! Mike in action in the ring. Mike is a family man with 3 boys and in his spare time enjoys karate. 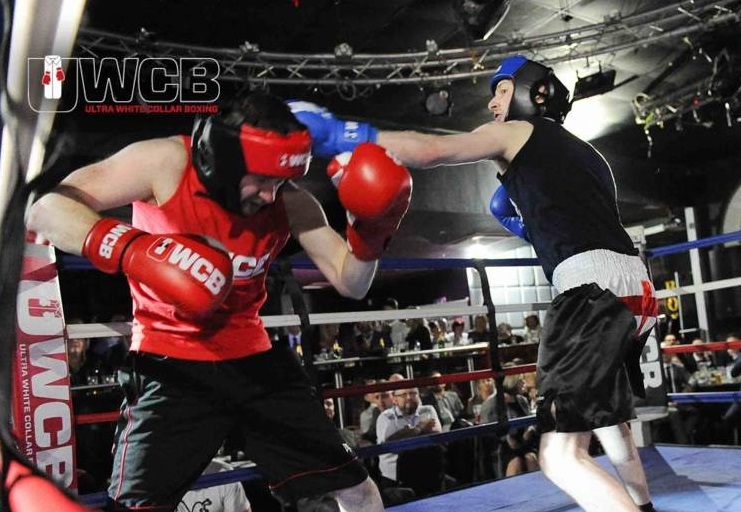 He has also recently taken part in a charity boxing match to raise money for Cancer Research UK. With his technical background and love of boxing, we think Mike is going to be a technical knock-out! Sparks fly! 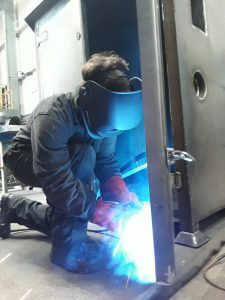 Augustin welding a Water Bowser. We’re also pleased to welcome eighteen year old Augustin Flochlay who has joined us on a 6 week internship this summer. Augustin is from St. Germaine-en-Laye in the western suburbs of Paris. He grew up in Kenya and is currently studing Mechanical Engineering at Université Laval in Quebec City, Canada. During his stay, Augustin will be getting an overview of the operation at Tuffa UK. He has already worked with the purchasing, production and marketing departments and is currently spending a couple of weeks in our steel workshop. “I’m interested to learn about steel production and I’ve enjoyed the practical welding and grinding,” he said. “The team are really friendly and I’m enjoying helping to build Tuffa’s big steel tanks. 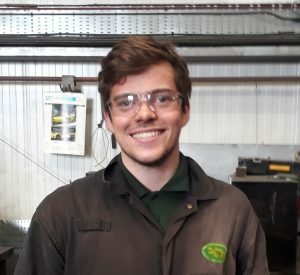 “As well as getting experience of how a successful manufacturing company operates, my stay at Tuffa has given me the opportunity to visit the UK. I like hiking and climbing and I’ve discovered that Staffordshire is a beautiful county,” he continued. Augustin has been staying with a former Lady Mayor of Uttoxeter, Marilyn Betts, and we are extremely grateful to Marilyn and her husband John for looking after Augustin during his stay with us. At the end of the summer, our international intern will be heading back across the Atlantic to Quebec to continue his degree course in September. From everybody at Tuffa UK Augustin, may we take this opportunity to wish you Bon Voyage et Bonne Chance mon ami!